Fear what happens next. Well, they say we fear what we don’t know, and based on the posters released so far I really have no idea what happens next. Or what is happening now. 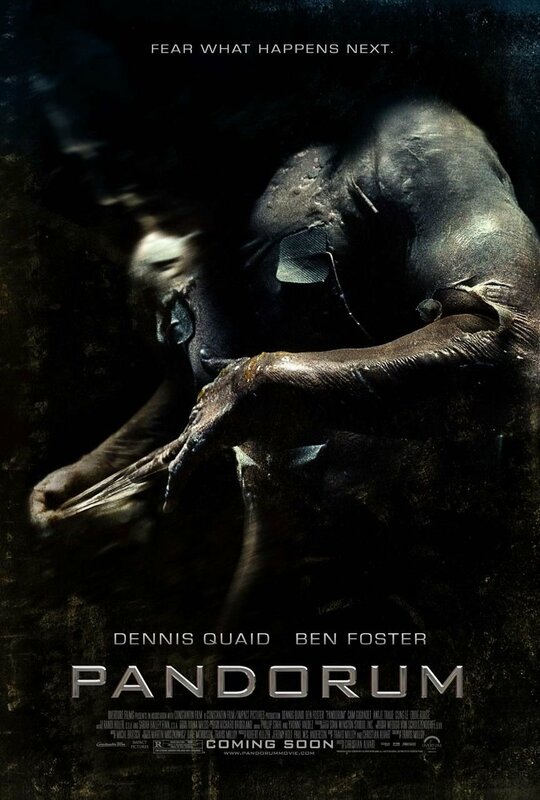 I am saddened to see that Pandorum is decisively walking away from the brand of “movie about tubes going in and out o people“. On a more serious note this last poster is darker than the early posters and abandons the sci-fi feel for a more clearly horror aesthetic. Perhaps they aren’t quite sure about how to sell the movie, or at least have changed their minds? i remember an interview when artist/genius alex ross redesigned the spiderman costume for the film and he gave them the advice, do not make a poster of spiderman’s chest like he’s superman or batman… people won’t know what that is. what the hell am i even looking at? it looks like a shoulder in the upper right and a deformed arm. i am not even sure. i’m with you, i knew what they were selling with tubes coming out of people. I think I see an elephant trunk.